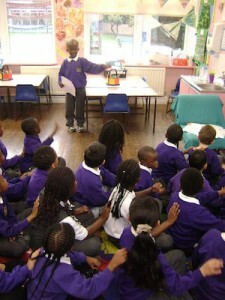 ‘Brilliant addition to any school environment’… was one of the many positive comments from staff at Kingsmead Primary School in Hackney in London when we introduced peer massage sessions at a Story Massage training day for Learning Mentors. 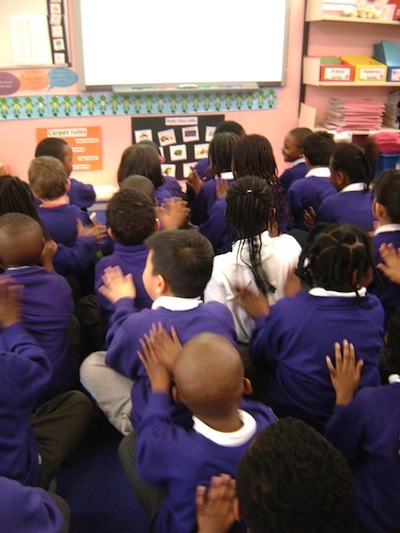 Two months after the training session, it’s wonderful to see how much the children are enjoying peer massage and benefiting from story massage as part of their school day. Some are even taking the lead in demonstrating the moves! Here is a short video of pupils at Kingsmead Primary School sharing a simple Story Massage. 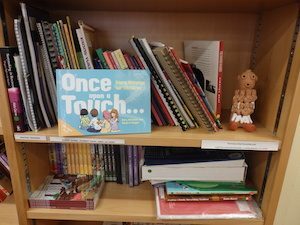 The school has purchased the Story Massage book and resources and find that these are valuable additions for sharing massage stories in the classroom. Are you interested in training in Story Massage? 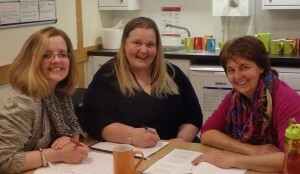 We offer in-house Story Massage training for schools and organisations around the country. For more information, click on this link: Story Massage Training.